Another Ravi score, from two years later, and this one is even better. 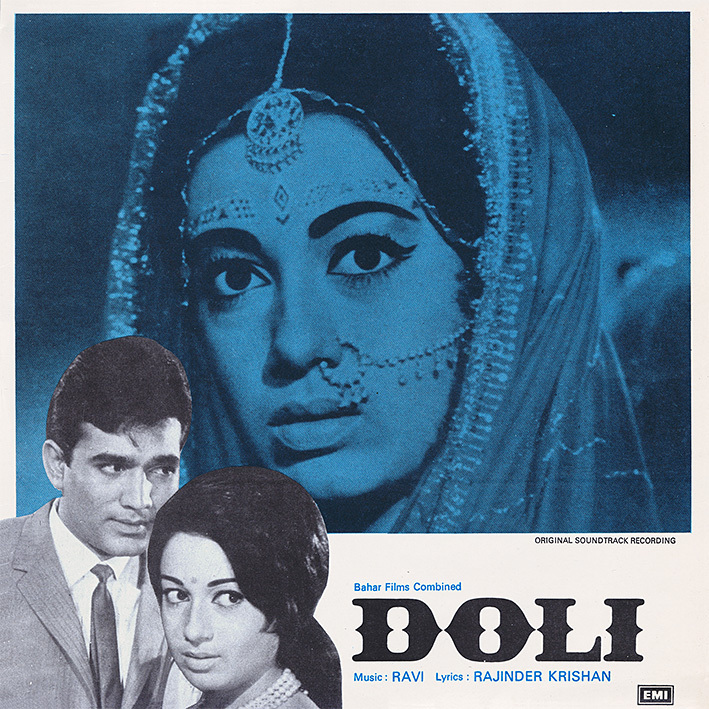 His pop sensibilities are on display on 'Doli': the enchanting 'Aaj Main Dekhoon' reminds me of the delicious confections that appeared on my (up til now) favourite soundtrack of his, 1975's 'Vandana', and 'Pahle Jhuk Kar' is kind of like an easy-going, bucolic take on Shankar Jaikishan's rock 'n' roll, if that makes any sense. The sumptuous 'Sajna Saath Nibhana' sends tingles down my spine, and 'Aaj Pila De Saqi' has a dreamy 1950s vibe. Ravi wasn't only about sweet easy listening though; 'Dance Music' combines raunchy guitars, manic percussion and powerhouse horns on an elaborately arranged instrumental that RD Burman would have been proud of, 'Danton Tale' is loud and lively pop, perhaps with a French twist (blame the accordion), and 'Doli Chadh Ke', the one song without a distinct Western influence, is infectiously incessant. Thank you so much PC for this share. Awesome rip. Nope, can't do that, sorry.